We have a pretty full house right now. We have two families visiting us right now. I have a really great company to share with ya'll today. 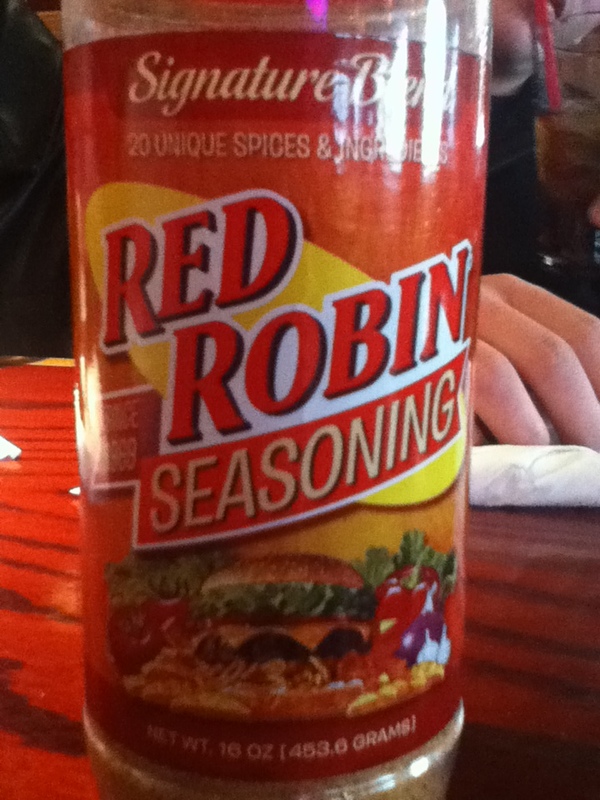 Red Robin. They are the best! Here is a little information about Red Robin... "
I visited the Red Robin in Orland Park, IL. First you walk in and they seat you, take your drink order, etc. After we ordered the food came out pretty fast and it was great! While looking at the menu I decided to get a Dr. Pepper and their Bacon Cheeseburger! Here is a little bit about the Bacon Cheeseburger... "We claim this to be the best bacon cheeseburger in the known burger universe! Garnished with sizzling applewood smoked bacon, crisp lettuce, fresh tomatoes & mayo. Choose your favorite cheese: Cheddar, American, Swiss, Bleu, Provolone or Pepper-Jack." See the Bacon hanging out the side! This really is the best Bacon Cheeseburger I have ever had! Another plus is that their sandwiches come with bottomless steak fries! 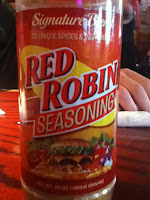 I added some of the special Red Robin Seasoning to mine and they tasted wonderful. 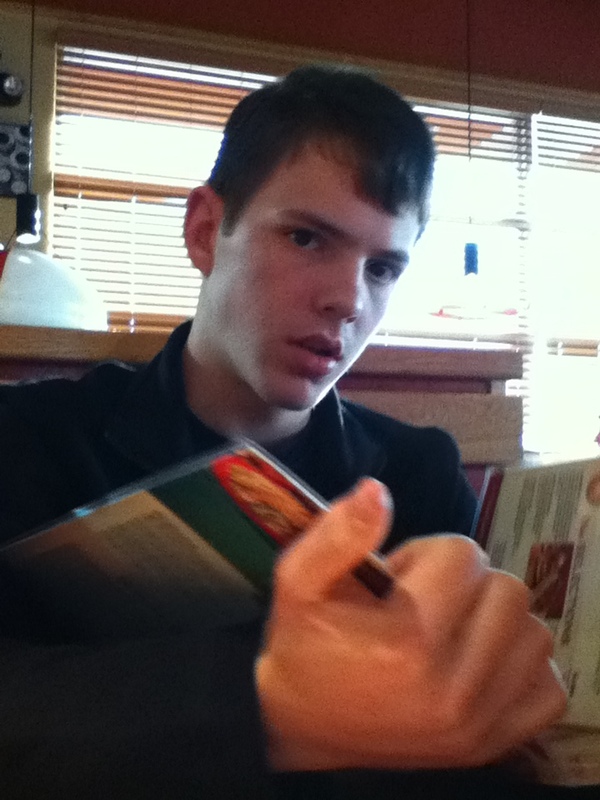 My brother tried the Crispy Chicken Sandwich, my sister tried the Bacon Cheeseburger, and my other brother tried the Red Robin Gourmet Cheeseburger. These all came with the bottomless fries. They also had great service. 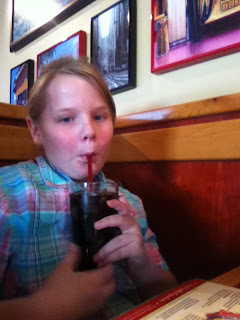 She refilled our drinks before they were even empty! 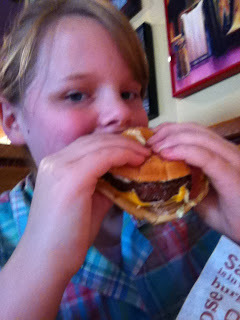 My sister with her Bacon Cheeseburger. My brother. He ordered the Crispy Chicken Sandwich. 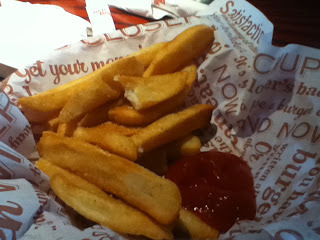 The food tasted so good. And the Burgers are so big I had over half of mine left and I brought it home and ate the rest of it for dinner! 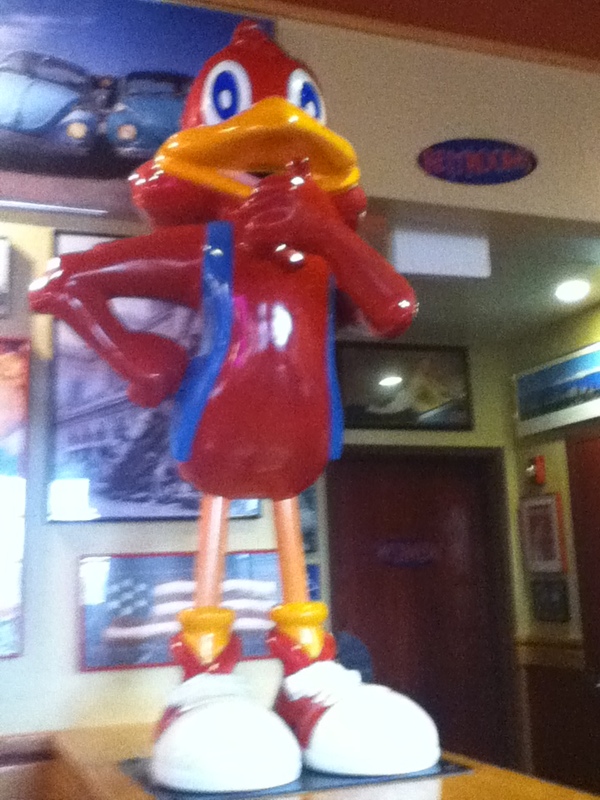 Red Robin is a great place to eat. Anybody would love to eat there. Need a gift? Check out the Red Robin website and purchase a gift card. It would be a great gift. You can also Like them on Facebook and follow them on Twitter to stay up with the latest news. 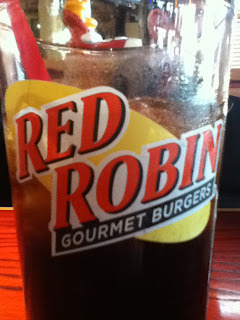 Red Robin also sent me another $25 Gift Card to send to one of my Neighbors! What a great gift this will make. Whether as a gift for a friend or family member or as a gift to yourself. I LOVE their patty melts!!!! I like the California CHicken Sandwich! I would enjoy Ensenada Chicken™ Platter. I would love to have their Crispy Chicken Salad! I like the bacon cheeseburger. I want their tower of onion rings. They are so delicious. 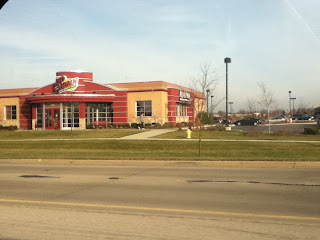 They have the absolute best onion rings out there that I have ever tasted. I would like to try the Bleu Ribbon Burger! I would love the Whiskey River BBQ Burger. Mmmmmmm. Sounds and looks delicious. I like the california chicken burger. The New JIM Bean Burger sounds yummy. 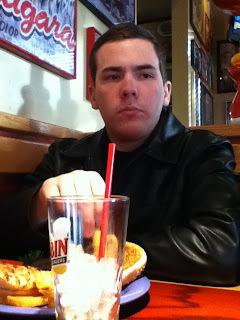 The Bonzai Burger is my all-time favorite at Red Robin! The petite bacon cheeseburger and fries with a side of ranch. My stand by! I would like to try the Simply Grilled Chicken Sandwich. Oh their Guacamole Bacon Burger is the absolute best! I love it! 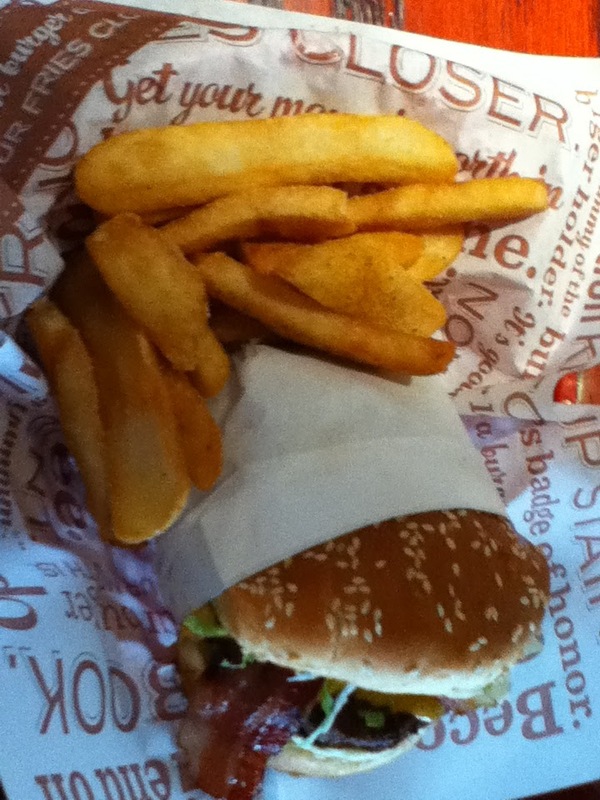 I love their Guacamole Bacon Burger and Royal Red Robin Burger® So one of those! Yum I am preggers an burgers sound soo good! Cafe Press Throw Blanket Review and Giveaway! Tommee Tippee Dining Set Review and Giveaway! UPrinting Rolled Canvas (16" x 20") Giveaway! Greenfield Paper Company Review and Giveaway! Jiffy Lube $35 GC Review and Giveaway! 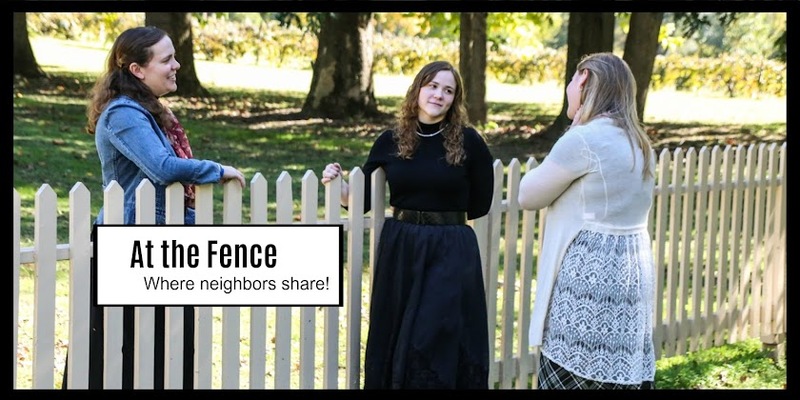 A Quick Note for My Neighbors! Waterproof Bible Review and Giveaway! Voice Quilt Review and Giveaway! Robitussin Helps Make Cold and Flu Season Easier! Tips to Help Keep the Holiday Happy! Have You Ever Had Cosmetic Dentistry? Cowgirl Chocolates Review and Giveaway! My Husband Prefers Shaving Cream! Reading Glasses Shopper Review and Giveaway! Zylie the Bear Review and Giveaway! Gyro Bowl Review and Giveaway!